Roger Federer set up a rematch of the Swiss Indoors final with Juan Martin Del Potro after he eased past Philip Kohlschreiber 6-3 6-4 at the BNP Paribas Masters Thursday in Paris. 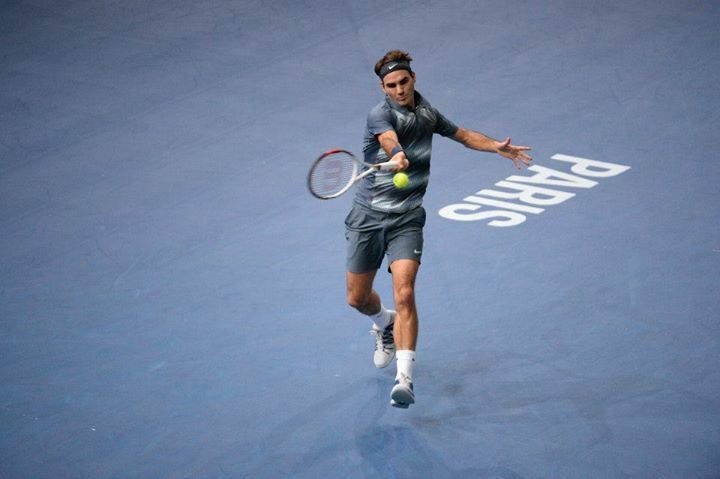 The Swiss maestro was hardly challenged, despite facing two break points at 3 all in the first set. Not before long, he swept the next three games, and stayed even with the German until late in the second set, when he broke and quickly served out the match. Press conference (via ATP World Tour).